I am absolutely falling in love with purple hair. I would love to add some purple to mine, eventually.... (once I gather the courage up to do so, of course). I decided to find some natural purple hair color inspirations featuring some beautiful ladies and I hope you guys like the styles because I know I do. Would you be daring enough for purple hair? 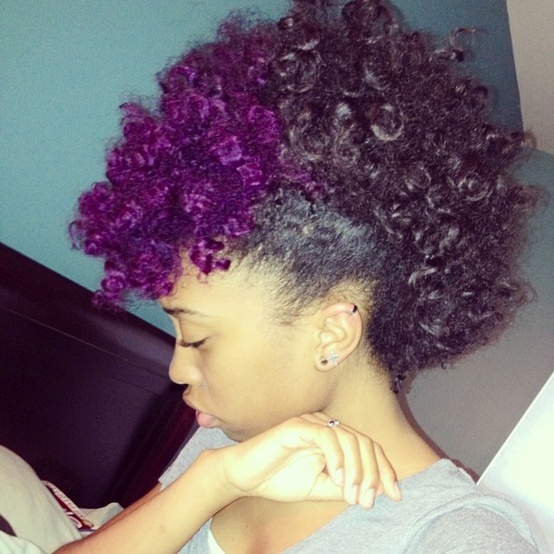 Let me know if you like any of these purple hair styles..